You'll need to look backwards and forwards, up, down and diagonally to find the names of your favorite NewsHour anchors, guests, recurring segments and more hidden in this word jumble. 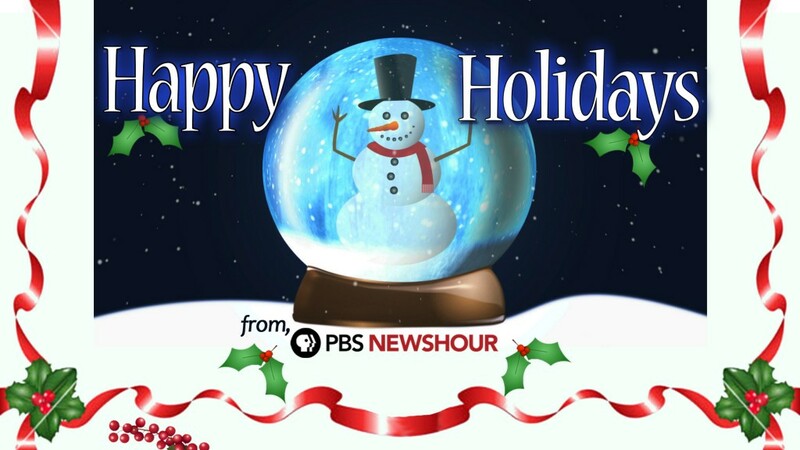 Imagine reliving that exciting moment when PBS NewsHour’s nightly broadcast begins to play on your television, computer or mobile screen every time the phone rings. Now you can. What's better than a Sunday crossword puzzle? A NewsHour-themed Sunday crossword puzzle. Looking for a gift that is both personal and economical? Look no further. Use this stencil of the PBS NewsHour logo to create custom t-shirts, tote bags and more for everyone on your holiday shopping list.